How to make a reflector and "lightbox"
A cheap and versatile "DIY" solution for reflecting light. 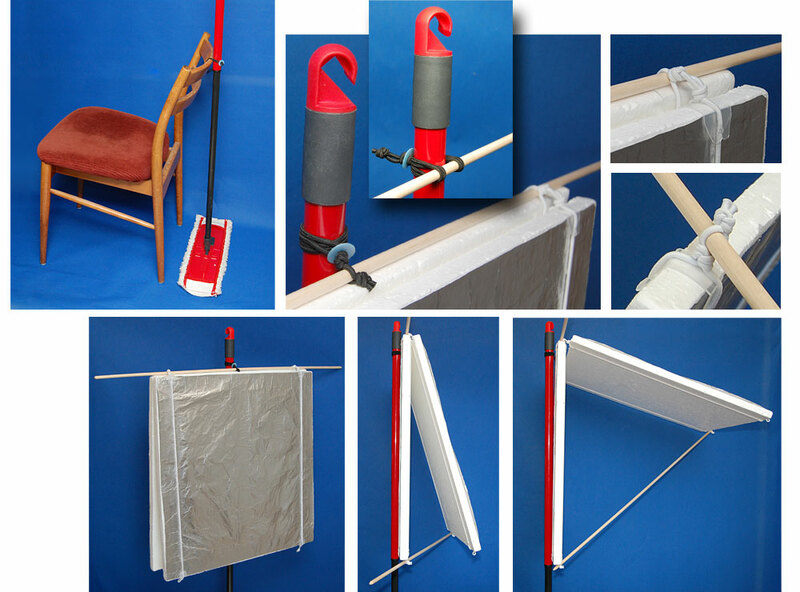 hang objects from "the ceiling" and attach the reflector to a shaft or similar . object and also to make dark/ toned backgrounds. by placing some kind of support like shown below. 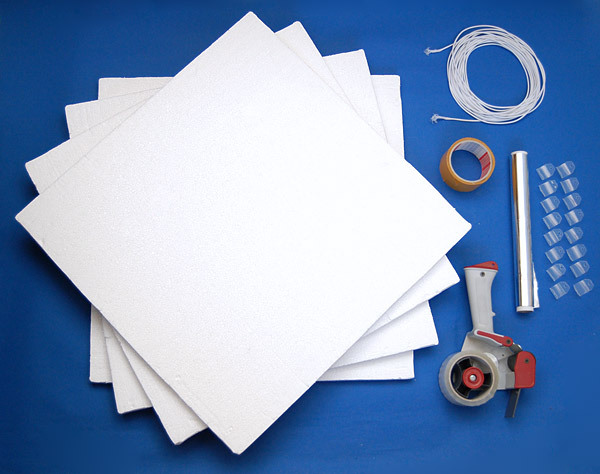 - 4 pcs of styroform sheets, size 60 x 60 cm and 20 mm thick. with tape and use a few bits of self adhesive tape to fasten it to the styrofoam sheets. these protectors prevents the cord from cutting into the soft styroform edges. cut off excess cord and melt the ends with a lighter. Snap on the edge protectors.